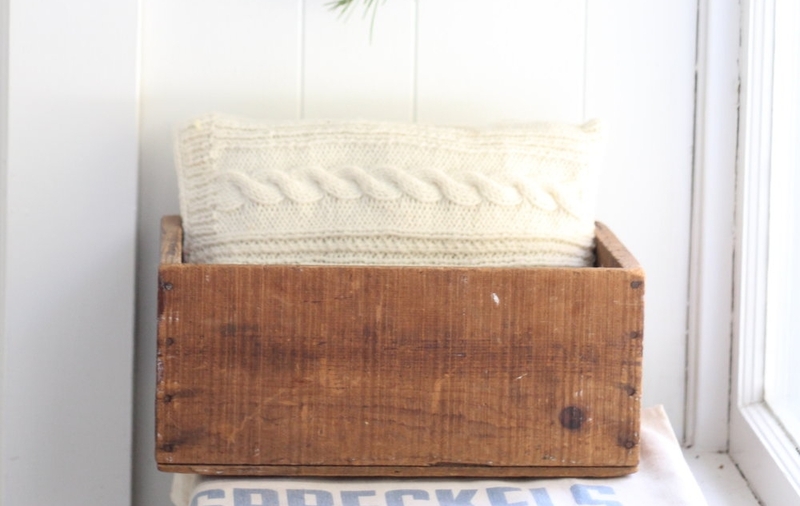 Ever wondered what you should look for at thrift shops for that farmhouse style you love? I give you all my tips and tricks. I love to go thrift shopping. It is a creative thing for me to rummage through old junk and try to figure out how I could repurpose it into something beautiful. My idea of a perfect day would involve a whole lot of coffee and as many small town thrift shops as I could find. 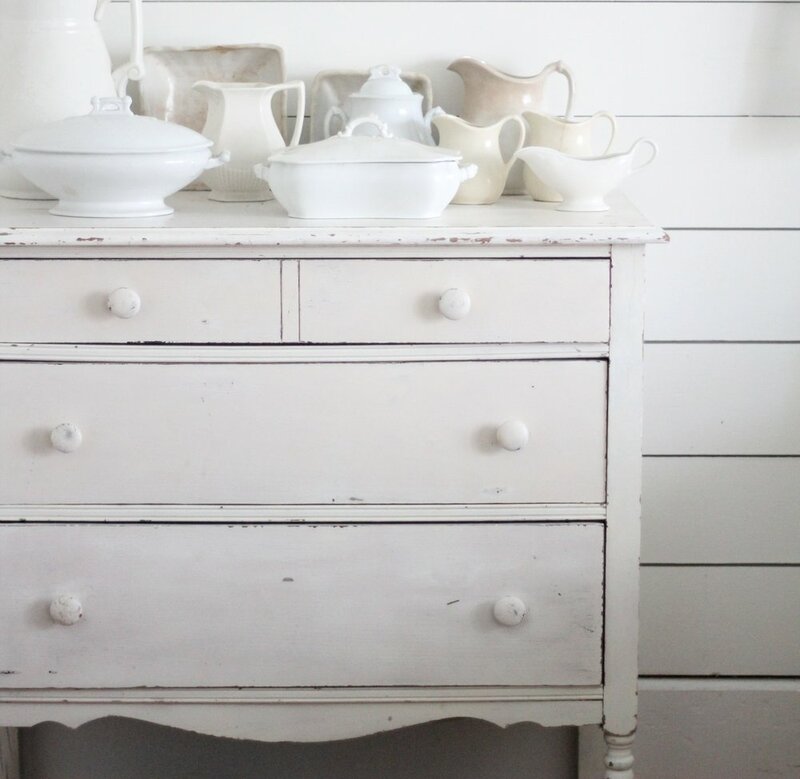 I want to share with you some of the things I like to look for when I am out thrifting for pieces to bring back to the farmhouse. 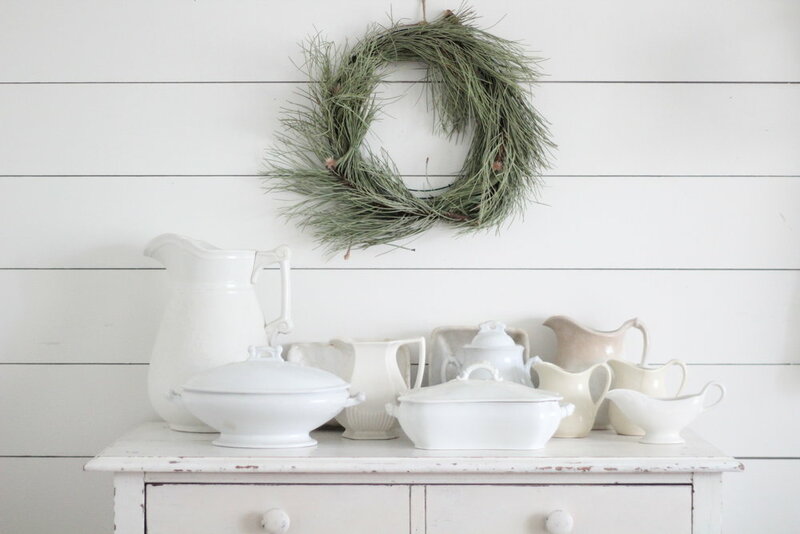 Ahh antique English Ironstone…there is a reason why this is first on the list. It looks pretty everywhere, tables, dressers, windowsills, bookshelves, and pretty much any place else you can think of. I started collecting ironstone a few years ago, and I can say that if you keep your eyes peeled you will come across it all over the place. If you’re willing to spend a little more, you could build your collection very quickly by going to just a handful of antique shops. They are filled with it. But, if you’re a little more thrifty, it will take a little longer but the deals are most certainly out there! In the photo above I found the one gallon pitcher on the far left at a garage sale for $3. The two tureens in the front were less than $2 each at a resale shop. My aunt bought me the sugar bowl at an antique shop, and it still had a little tag on it for $29. That is the price you can expect to pay at an antique store, but if you look for it long enough you will also happen upon it at thrift stores and estate sale for quite a bit less. I paid $20 for the furthest back pitcher on the right and that was a pretty good price but not a total steal. I try to find the small pitchers for $5 or less. I also collect ironstone plates, bowls and gravy boats. Basically, if its ironstone and a good price I’m snagging it up! Be careful that you are getting the right shape and not just any old white pitcher. I say this because, in the beginning, I bought up every white pitcher I could find. Irealized later that I preferred the shape of actual English ironstone. After that I got a lot more picky. You can find really pretty white pitchers at Target and World Market if you aren’t worried about that antique shape. 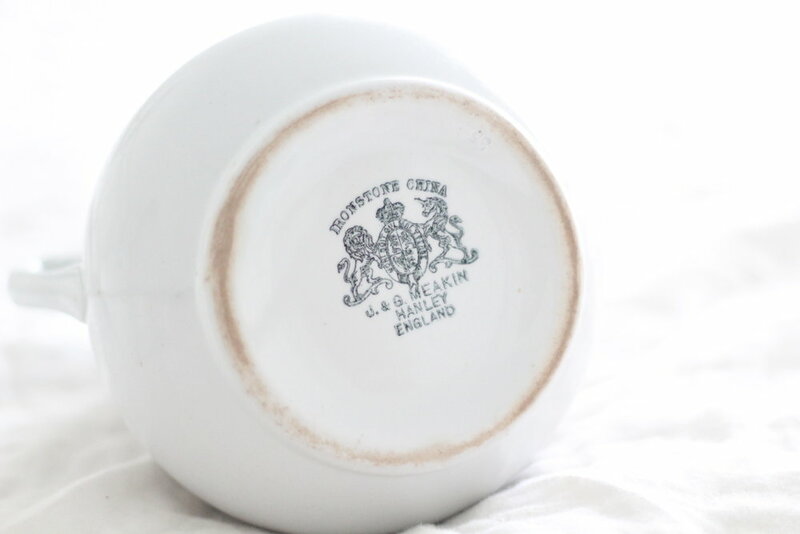 This is, of course, a preference thing but I can tell you from experience I want the real deal antique ironstone with its simple shape and signs of wear. I’ll take it with the brownish spots, cracks and all! 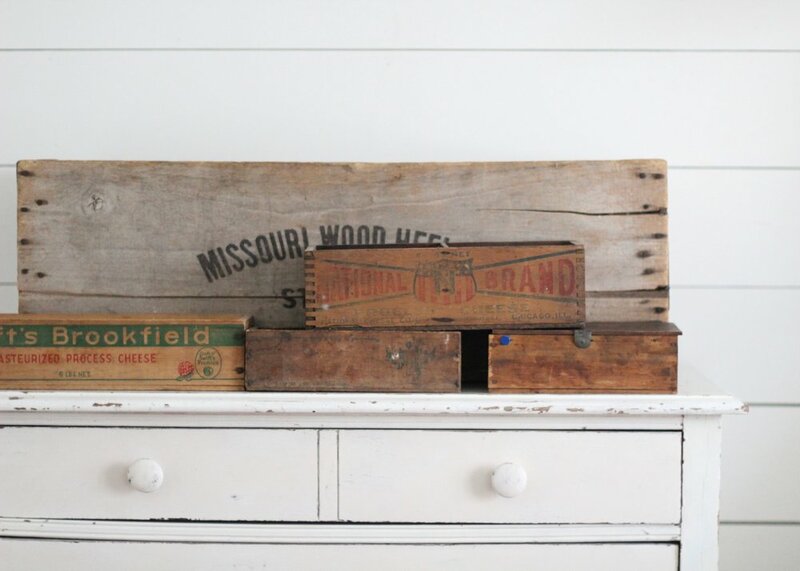 I have wooden boxes all over the house. Just like ironstone, you can pick them up all day long at antiques shops and auctions but it’s going to cost you a pretty penny. Me personally, I wait until I see them at a garage sale. I won’t pay more than 5 bucks for a small box. The larger box was a dumpster score, but if I had to say how much we would have given for it probably no more than $30. I really love it, but I just don’t like to pay too much because I know I will eventually be able to find it cheaper at a garage sale or thrift shop. I like to look for old furniture that can be redone in some way. I painted a $50 pair of nightstands for our bedroom. We also turned an ugly $20 kitchen island into something that fits in with my farmhouse style. 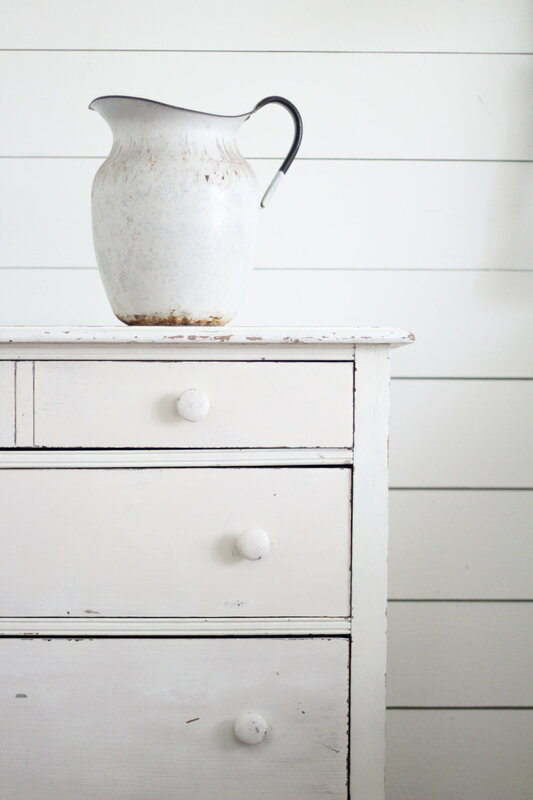 My favorite furniture makeover is the milk painted dresser in our bedroom. 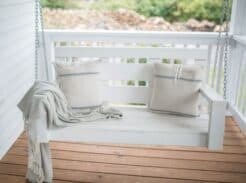 Furniture makeovers can be some of the most profitable thrifting you can do. Hello amazing dresser for 50 bucks! BUT, this is also the area where you have to be the most careful. Some pieces of furniture aren’t worth redoing. 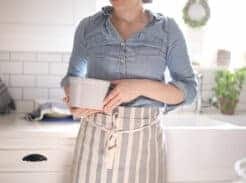 If they are wobbly and/or smelly or not really the style you want, no amount of redoing will make them worth keeping in your home. In the beginning, I bought every inexpensive piece of furniture I could get my hands on. Before I knew it my garage was a storage until for all of my someday projects. We ended up getting rid of most of them, but I am still holding onto hope that we will get to the antique wardrobe that’s been sitting in there for almost a year. This is an area where paying more money for a nice piece makes sense. I like to keep furniture purchases under $100 but I will make exceptions for pieces I really love. The white dresser in the photo was a bit of splurge for me at $100. Pay attention to the shape and style. Early on I didn’t really know what kind of furniture style I liked, so I bought a couple of curvy French Provincial dressers and console tables. I now know that I do not like that style. I am more of a simple girl. I like straight lines. If a piece is sitting on casters I am almost sure to love it. There are so many tutorials out there for how to create the most perfect chippy finish. I love that look and all those methods, BUT if I can find something that is already chippy from age, I’m going to snag it up. 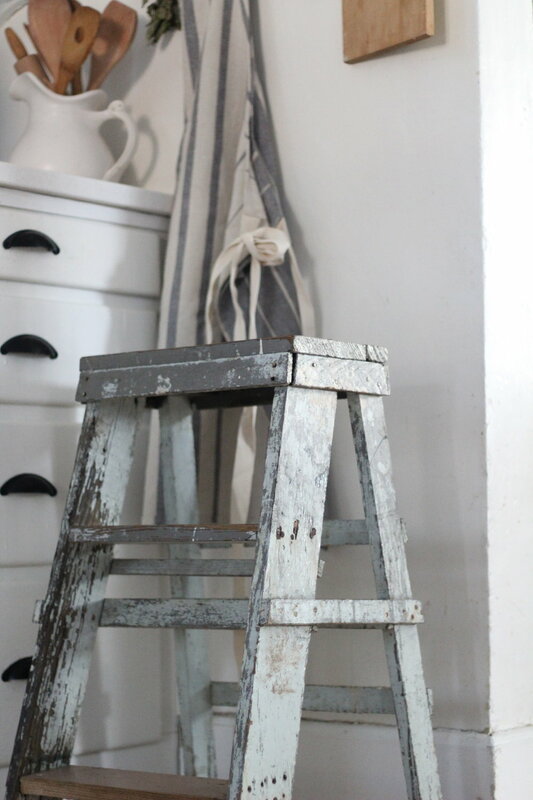 I have found chippy dressers that were painted many years ago, chippy shutters and windows and this chippy ladder. What to pay of course depends on the item. I paid $8 for this ladder and I consider that a score. I have paid $75 and up for chippy dressers. We also have an old chippy door that my husband saw in a dumpster. We cut it into sections and use it as a backdrop for vignettes. 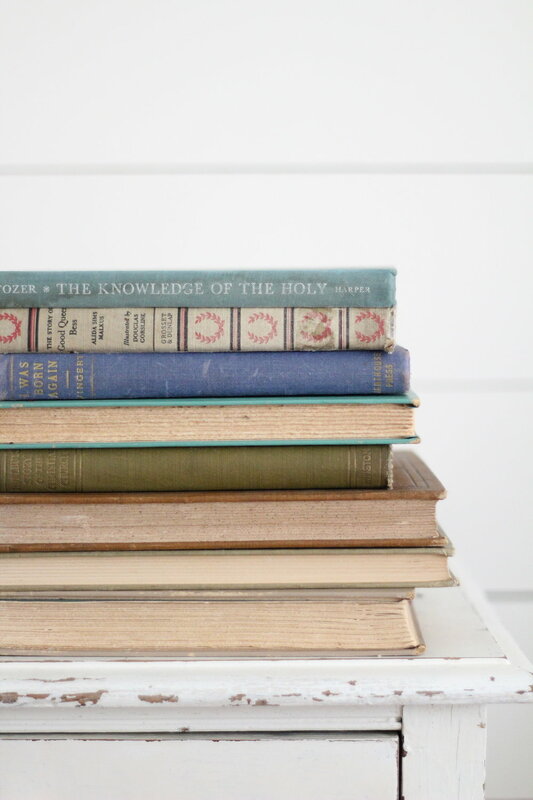 Vintage books look great on bookshelves, side tables and dressers. I like to look for ones that have faded hardcovers and brownish tattered pages. I see them at antique stores for $10 and more but I won’t pay that. I wait until I find them for $1 or less at thrift stores. 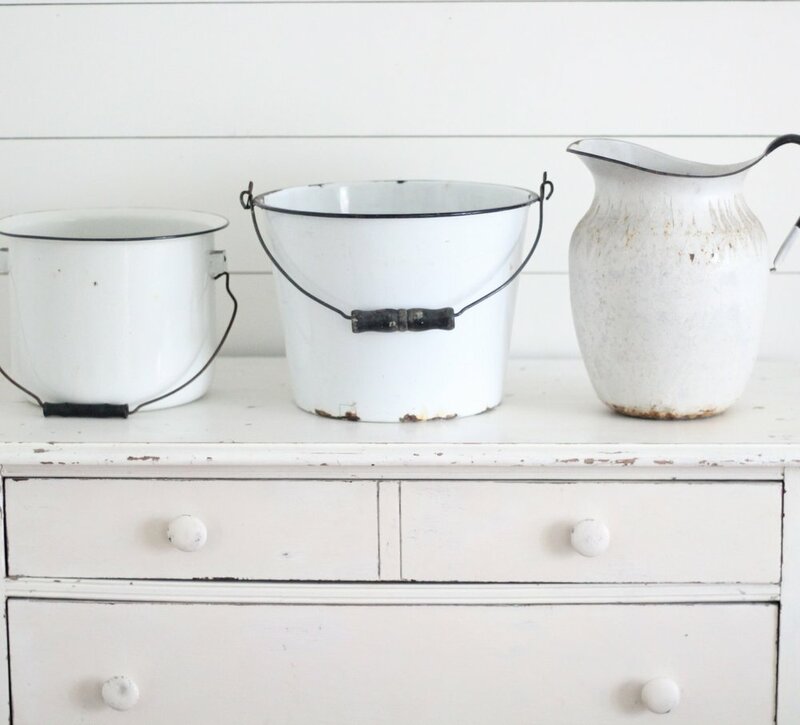 I love the simple colors and shapes of enamelware pieces. The pitcher on the right was a total splurge for me at $25. I found it an antique store, which is why it was more expensive, but I couldn’t pass it up. I love that it is rusty and the paint is chipping off. I think it is going to look so pretty filled with flowers in the spring. I paid less than $10 for each of the buckets. I use them to store old rolling pins and potted plants. I have to be honest. 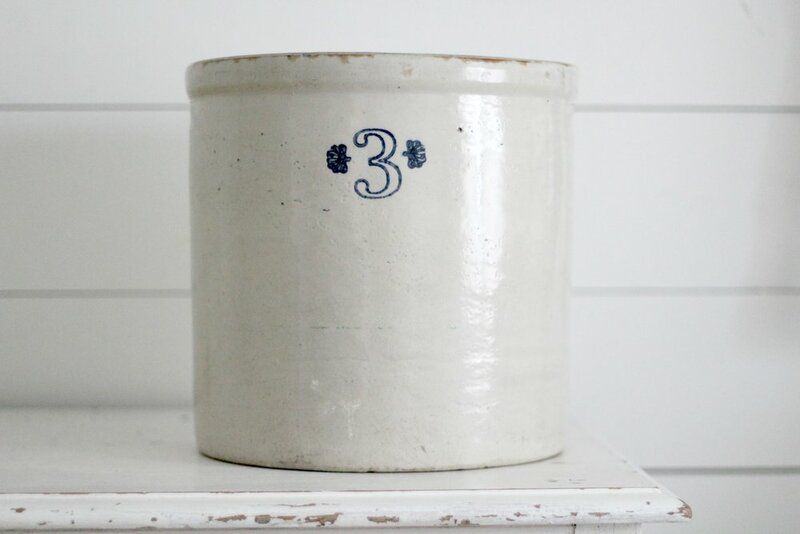 I only have this one antique crock, and it isn’t because of lack of availability. You can walk into an antique shop and find them all day long. It is because of my unwillingness to pay what they’re worth. If you want a 3 gallon crock like this, and you want it today, you’re going have to pay around $50. I just can’t bring myself to do something like that. I found this one at a flea market. The guy was asking $15, which was already plenty fair, but I offered $10. He took it and I took home my first crock. If I see another at that price I will definitely snag it up. If not, I will do just fine with one. 1. Goodwill is a no-go. At least in my area. Please correct me if this isn’t true in your area, but you want to find hole in the wall church thrift stores. The people at goodwill seem to know what things are worth and will charge accordingly. I have never had any luck shopping for antiques at goodwill. 2. Antique stores are expensive. Like almost always. You will find what you want. That is for sure. But, if you’re looking for a bargain you might as well not even waste your time. I still like going to antique stores, but I almost never come home with anything. 3. Garage sales can produce in a big way but you have to be patient. Some of my best bargains came from garage sales, like the high back apron front farmhouse sink I found for $35. I also snagged up the pair of lamps by our bed for $5. I’ve picked up two rocking chairs for the porch, vintage boxes and ironstone all for total steals at garage sales. But, I have also been to many garage sales where I walked away empty handed. 4. Don’t be afraid to bargain, especially at garage sales and flea markets. People actually set prices with the expectation that people will try to get the items for less. Don’t be rude about it and throw out an insane low ball, but it isn’t unreasonable to request at least 25% off. 5. Take a picture and walk away. If something is questionable and not super cheap, take a picture of it and sit on it for a minute. Go on pinterest and search the piece you are looking at. See if you can find something similar redone in the way you are envisioning. Or just consult one of your favorite bloggers and see if you spot something with similar lines and shapes in their home. If you spot the piece you are looking at all done up in milk paint and you love it, head back in there and buy it. I have definitely had experiences where I have waited too long and missed out on pieces I was thinking about, but I have also had times when I’ve made purchases I regretted because I jumped in too soon. I would honestly rather miss out. There will always be more opportunities and you will get a better feel for what works for you in your home the more you do it! This is all just my experience as a thrift shopper in the Midwest. I know the situation could look different in other areas. I agree totally about your comment regarding Goodwill. I have, however, scored some decent finds after the management crew goes home at 5 pm and the PM shift people just want to move the stuff out fast! I’m a die-hard thrifter. Montana can be tricky, though. Low population and a lower economic base than a lot of other states can make yard sale-ing challenging. Ah, but when you find a gem….It’s worth it,! 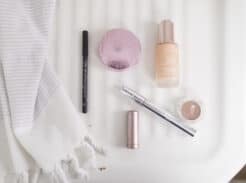 Loved this blog post! Wow! That does sound like more of a challenge but sounds like you have skills!! Thank you for your input! Totally wishing I could use some emojis for your post right now, because I coundn’t agree more with what you just said! 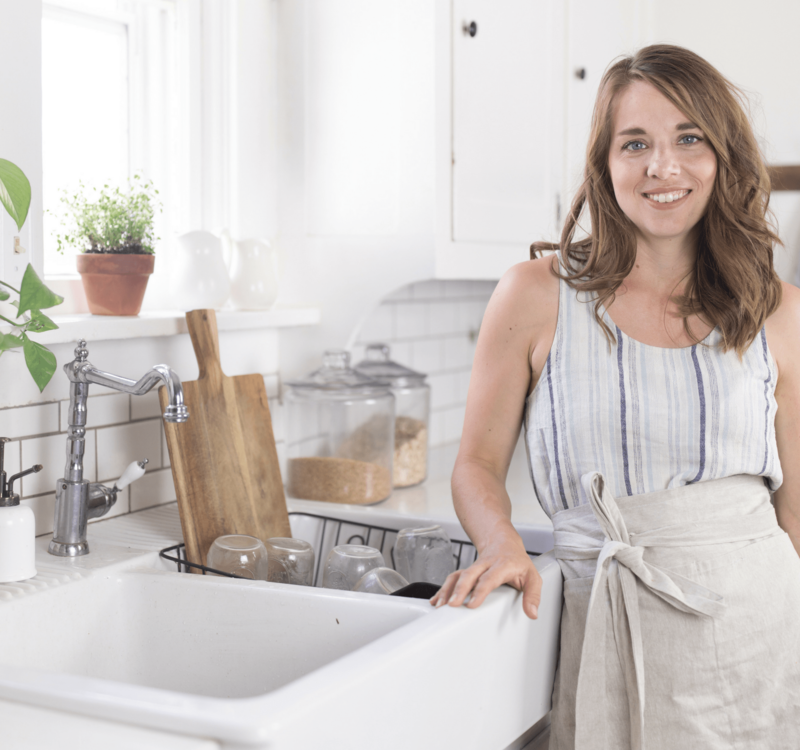 Thanks for inspiring me to share with my readers all about my thrifting journey, too. Makes me so excited for yard sale season! Hugs to you, sweet friend! Hahaha those metal buckets??? We used them for the bathroom when we were kids at my grannies house. Those were called ‘chamber pots,’ and they always had a lid. It was more of a night-time need. I remember while camping in rustic cottages at church camp, our cottages contain limited indoor plumbing, but the grounds has several locations that had men’s and women’s bathroom facilities . I would see an elderly woman gingerly carrying her chamber pot each morning to the Women’s restrooms, so that she could flush the contents. We hit all the Goodwill stores in Maine and get good deals weekly. But if you really want a cheap price on books, find a Goodwill Buy the Pound. At the one near us, books are 10 cents a pound. Some times you hit the mother load, some times not. I live in Australia and find in my rural area it’s so different! However I do find bargains in our opportunity shops, but I so agree the prices are far more than you want to pay. I go to my regular favourite stores weekly and usually go home with something. The thrill is in finding something you love to add to your home!! I thought maybe my Goodwill (Salvation Army, too) on the Eastern Shore of MD was the only one that didn’t offer much in the way of quality vintage decor – or anything good for that matter. Some of the church shops are treasure troves filled with everything from affordable kids’ clothing to the unwanted contents from grandma’s attic + some of the church shops use the money they make to help local families in need. I agree! The church ones always seem way better. It is interesting to hear how the junking scene is in other parts of the country, too! I would like to be included in all your posts. I have found quite a few great pieces by going to estate sales. Usually the 2nd or 3rd day the prices are dropped dramatically and you can get really nice pieces for a decent price. By far the best places are garage sales in small towns! I love ironstone but had to stop, no more space! I live in San Antonio Texas and lucky for me can still find lots of great bargains but you have to go early in the day and in the middle of the week. Also don’t expect to be lucky enough to find what you want with the weekly discount color. If you really want it it’s worth the extra dollar or two you might save IF it was still there.Also be flexible if you can. When you pay cheap prices for something that’s not exactly wha you want it can appease you until you find the perfect piece at that perfect price. Have fun hunting! Those are all some great tips Mary! Thanks for offering your insight. Sounds like you have a lot of experience! You’ll have to do what I finally did. My husband begged me, no more ironstone so I settled on one maker I love and sold the rest. Now I search for only Alfred Meakin, brother to guys shown on ironstone in picture! It’s harder to find and more fun to search for. My best pieces come from auctions. I worked at my friends’ antique shop for a few years, and they got me started going to auctions. I was afraid to scratch my nose, afraid that I would accidentally bid on something. That only happens in the movies, though. I have late 1700’s/early 1800’s dovetail blanket chests that I bought for less than $100 each. Mid-1800’s empire chests of drawers for less than $200 each. An antique sterling pocket watch for $30. Silver, ironstone, primitive footstools, and so much more, very inexpensive. And that’s just some of the stuff I ended up keeping. I bought lots more that I sold in my booth at their shop. I never thought of going to auctions until I started working there, I thought only people “in the business” could go. They’re open to the public. Go! Use AuctionZip.com to find auctions in your area. OK I will try again! The auctions I have been to so far have been super expensive. Sounds like you have found some treasures! We live in a very rural area and I almost always find ironstone at our goodwill and Salvation Army for $.49-$3!! I recently found 4 pieces (platter, a small pitcher and 2 cups) for $6 tota!! So don’t give up goodwill, you may score one day! !